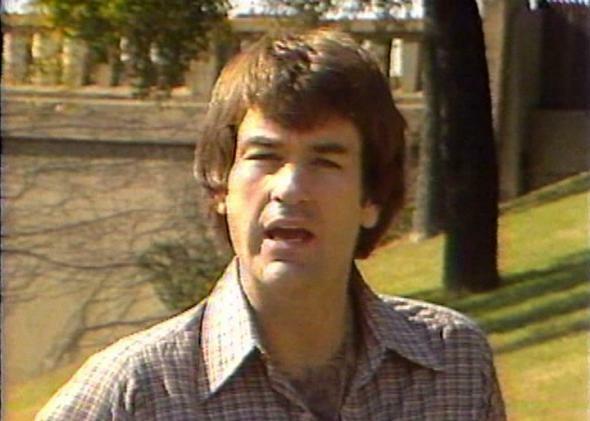 JFK assassination video: Bill O'Reilly reported on the Umbrella Man in 1979. For the past 50 years, the assassination of John F. Kennedy has been catnip for conspiracy theorists. But it also lent an auspicious start to one revered television journalist: Bill O’Reilly. In 1979, long before he wrote Killing Kennedy, O’Reilly was a 30-year-old reporter at WFSB in Hartford, Conne. As part of a four-part series on the Kennedy assassination, O’Reilly reported on the conspiracy theory of the “Umbrella Man.” WFSB recently unearthed the forgotten footage of O’Reilly’s story. The Umbrella Man myth goes as such: Photos from Dealey Plaza show a man holding an umbrella—despite it being a sunny, 68-degree day—less than 100 feet away from Kennedy’s passing motorcade. Moments later, Kennedy had been shot through the head and throat. Conspiracy theorists believe the Umbrella Man shot Kennedy in the neck with a dart, or flechette, fired from the tip of his umbrella, Penguin-style. “Now, all of this may sound a little far-fetched,” O’Reilly tells the camera. “But some researchers believe it, and they point to some hard evidence.” Those “researchers” include one Massachusetts architect whose elaborate diagrams are shown on screen. O’Reilley also reached Richard Bissell, one of CIA’s early and storied officers, who confirmed that the CIA had developed just such a flechette-firing weapon. O’Reilly goes on to cite the Dallas hospital’s autopsy report, which originally described “the massive would of the head and a second puncture wound of the low anterior neck in approximately the midline.” But when the autopsy was typed up for distribution, the word “puncture” was replaced with “smaller.” His other piece of evidence is an internal FBI memo acknowledging the receipt of a “missile” taken out of Kennedy’s body.